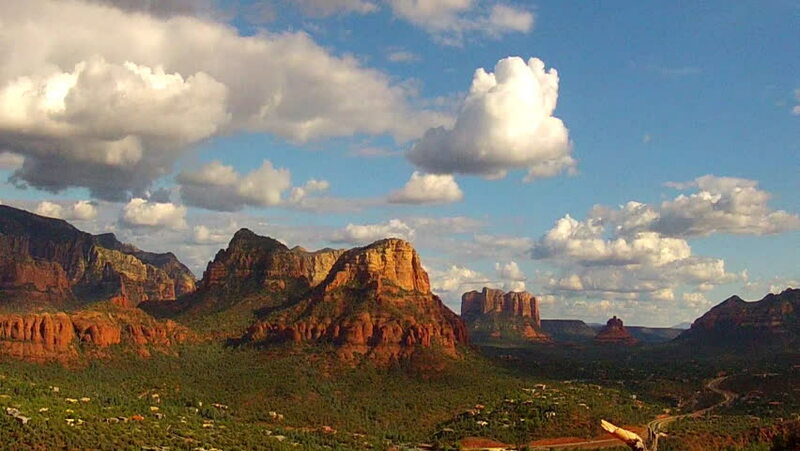 High and wide view of South Sedona Arizona. A red colored Bell Rock is seen in the distance from across the pine green valley. 4k00:12SEDONA, ARIZONA/USA: September 25, 2015- A wide shot of a hiking trail that leads to the west face of Court House Butte aka Courthouse Butte. 4k00:12Gigantic red cliffside and mountains amongst a beautiful natural landscape.